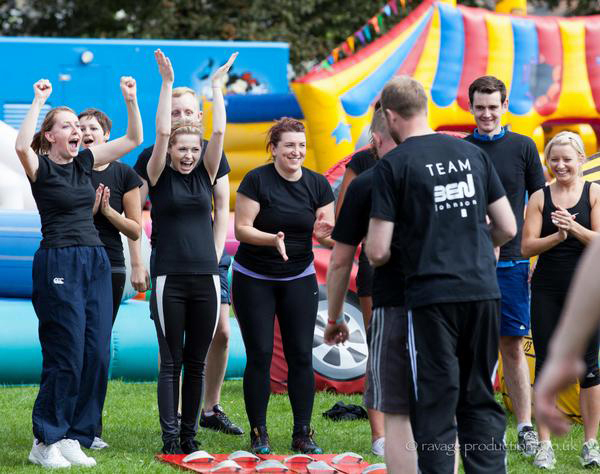 It's a Knockout for Team Ben Johnson! Well, it certainly was a knockout on 31st August. Despite our best competitive effort our team came 5th place out of 9 teams. Booooo…. 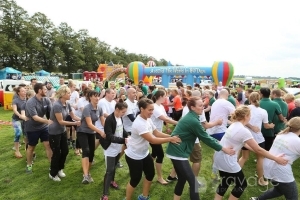 BUT with a whopping £1400 raised so far for the fantastic charity that is St Leonard’s Hospice, it really is (on this occasion at least) the taking part that counts. Our justgiving page will be live until 5th October so if you’re feeling charitable pop over there and donate. It’s a just and worthy cause. 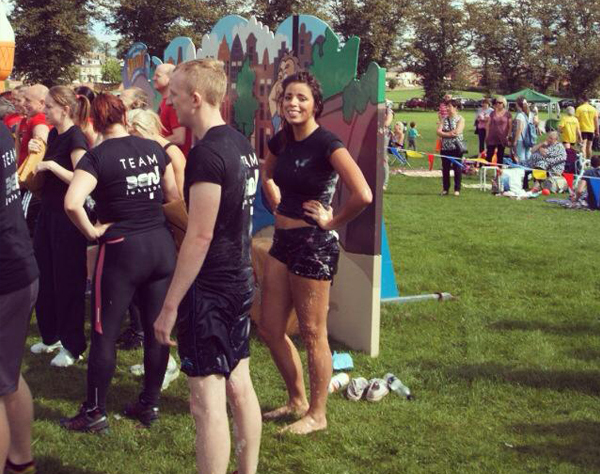 Thanks go to Harriet, Emma, Darren, Klaudia, Vicky, Simon, Zoe, Matty & Dwaine for taking part and being good sports. Competitive streaks were revealed (Vicky!) and fears were faced (Klaudia must have skipped the bit in the sign up sheet that mentioned water… lots of it), but lots of fun was had. You can see how much for yourselves: check out the photo album over on our facebook page.